this time i'm gonna be talking about this product. 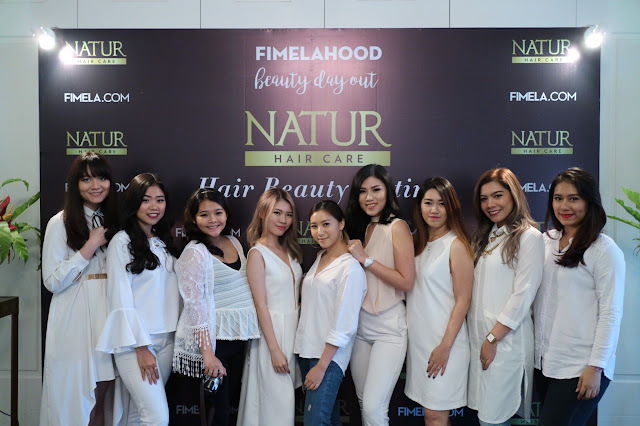 Natur, i bet you guys must've heard or used this product. I've known this brand since such a long time but never try it before. now it's time to give them a try a.k.a back to nature. From what i know, Natur used to have herbs smell. But now they've change it to a more frequent smell like floral. but it's not such a strong fragrance so it will mostly suits anyone. 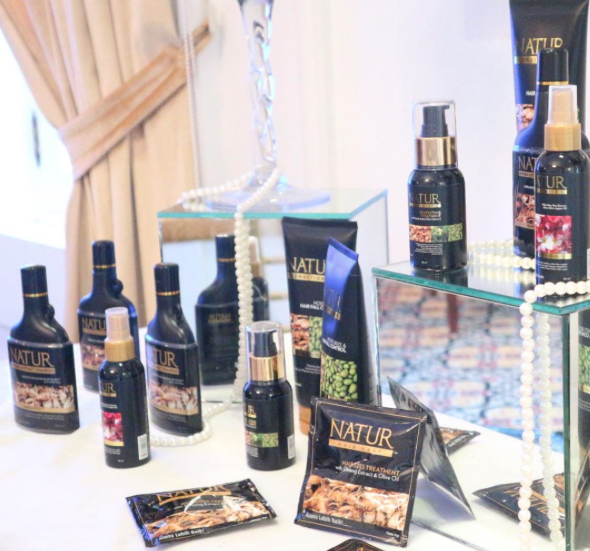 Natur also contain olive oil and zinc to make your hair stronger and smoother. Since my hair is so damaged due to my hair color journal. so, i decided to have it cut short in like 2 more weeks. And i'm gonna try this product for a healthier hair. dyeing / styling your hair too much isn't good for you and your scalp. doesn't mean you can't have fun with your hair. but sometime your hair needs a break. Well, that's how my activity and story for today. this product is quite safe rather than other brand because of it's ingredients. and also have such an affordable price. they also good to make your natural black hair stand out and shining. this pic was taken after the event with fellow bloggers. see you on my next one!